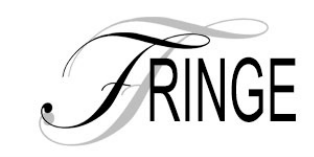 Fringe is Milwaukee's trusted source for personalized design service and quality home furnishings. Whether you are updating an existing home or designing a new one, we will assist you in making the right choices for your space while expressing your style and staying within your budget. With over 50 years of combined interior design experience in the residential field, we are here to give full attention to each of your projects. Our philosophy is to offer high quality, domestically made selections for upholstered furniture as well as wood occasional pieces. We showcase a unique combination of both American made and globally sourced home decor, lamps, artwork, and area rugs. Let us create the room of your dreams at a cost that is affordable to you. New arrivals you're sure to love! Best of 2019 - Vote Now! Best Accessories Store of 2019! Love what you found at Fringe? the love on our Facebook page!